Casinos in Northwest Indiana? You Bet! You are here: Home / Casinos in Northwest Indiana? You Bet! More About Casinos in Northwest Indiana? You Bet! With 56,000 square feet of gaming space on four levels, more than 1,750 slots and video poker machines, 58 table games and a dedicated baccarat room, we offer amazing gaming variety. Plus, guests enjoy our 288-room luxury hotel, which boasts a variety of amenities, our five exceptionally appetizing restaurants and a gift shop that's a destination it its own right. Located just 25 miles from downtown Chicago and conveniently located only minutes away from major interstates 90 and 80/94, we're easy to reach. And our 1,974-space covered parking garage makes it easy to stay. We offer 65,000 square feet of gaming on a single luxurious and spacious level, with 44 table games, eight live poker room tables and more than 1,700 slots. Open 24 hours a day, seven days a week, all year round. Dine in our of our five restaurants on site, or enjoy live entertainment from local bands to A-list performers. Blue Chip also has a 10,000-square-foot spa, salon and fitness center and a hotel with 486 luxurious rooms and suites. Horseshoe Casino Hammond is open daily 24 hours. 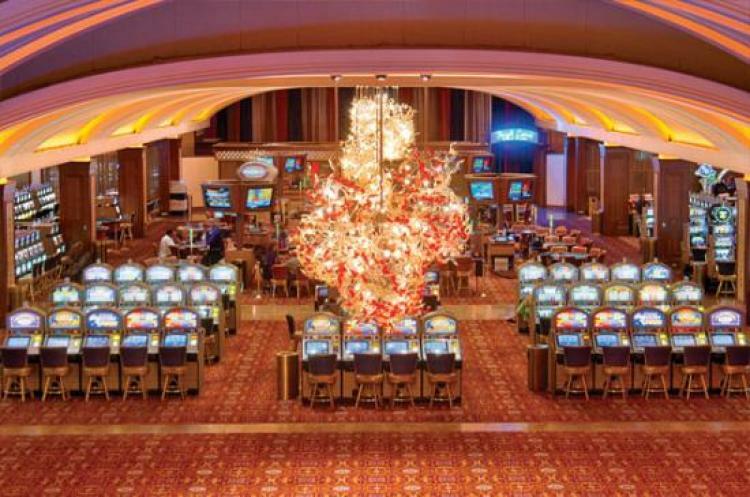 The casino's 108,200 square foot gaming space features 3,000 gaming machines and 189 table and poker games. The property has award-winning restaurants and entertainment at The Venue. Enjoy 6 floors of gaming action at Majestic Star Casino! We’re bringing the ‘Win’ to the Windy City! Located just 35 minutes from Downtown Chicago, our casino features a huge selection of gaming options 24 hours a day, 7 days a week. You can also enjoy in a wide variety of dining options, including our award winning Steakhouse. With the latest slots and wide array of table games, Majestic Star has something for everybody! Plus enjoy all your favorite games on our new non-smoking level.